After an absolute corker of a double bill last week to a packed house, LUME opens its doors once again this Thursday to Cath Roberts’ amazing septet: Quadraceratops!! Cath formed Quadraceratops while studying for a Masters at the Guildhall School of Music and Drama in 2011. 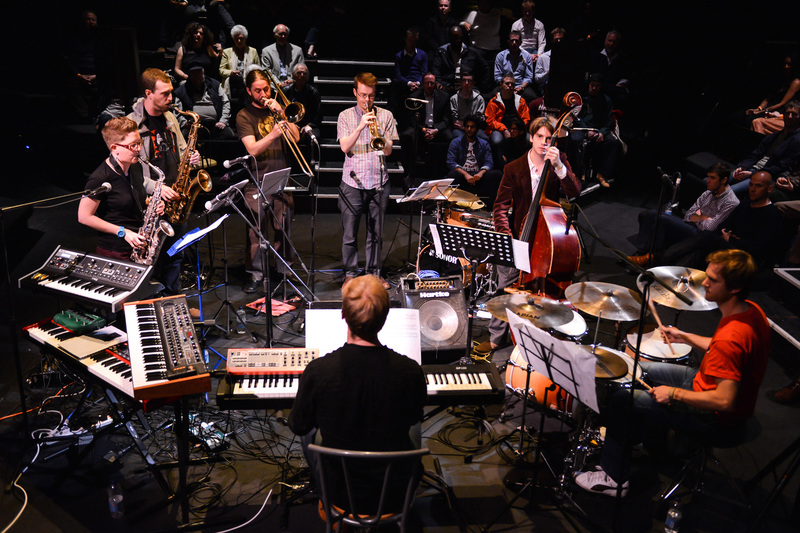 In June 2013 the septet played at Jazz In The Round @ The Cockpit. They supported Get The Blessing at Camden’s Jazz Cafe as part of the 2012 London Jazz Festival, and have appeared at numerous London jazz nights including Jazz at the Salisbury, Jazz at the Waterline and SE Collective at the Amersham Arms. The band briefly left the capital in June 2012 to visit Efpi Records in Manchester and perform at Freedom Principle. The current set of music is inspired by insects, fairground rides, underground tunnelling machines and fictional serial killers. This entry was posted in Uncategorized on July 29, 2013 by deebyrne.